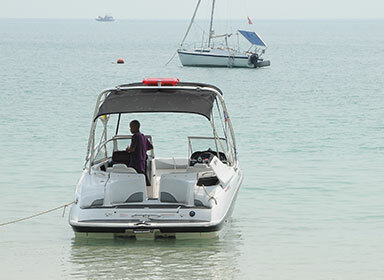 Seeing the beauty of islands the Gulf of Thailand. 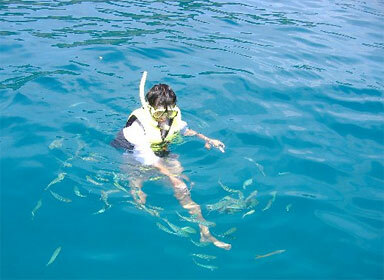 Snorkeling to see Thai marine lives and their ecosystem by taking a one-day trip. You can choose between a full-day trip or half-day trip. 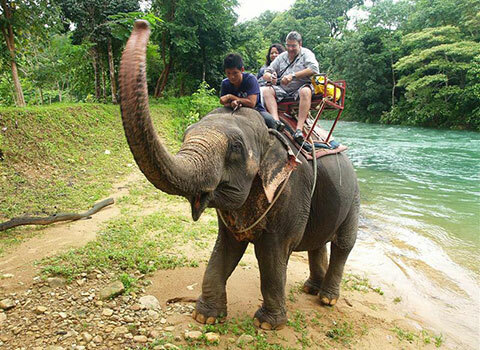 If you're tired of swimming, don't want to sit tanning in the sun, want to go around explore Koh Chang's scenery and want a BIG ride, Koh Chang's elephants are ready to serve you. These big, friendly fellows will take you along the path of Koh Chang's forest for you to sit back and enjoy yourselves with a different scenery of the island. 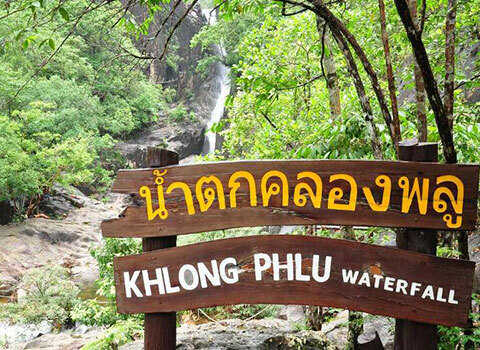 On the day that you want to change your scenery and want to breeze in the mist of rain forest, Klong Plu Waterfall is a place to be. It's the main waterfall of the island, running from the northern rain forest. You'd enjoy the fresh breeze of the mist and beautiful hiking track. Ask us for our taxi service to the waterfall. Bang Bao Village is a large fisherman village of Koh Chang. 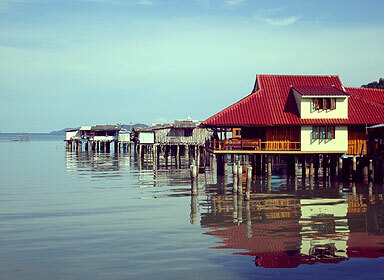 Here you'll learn the culture of these Thai sea people and see how the villagers make their living. You can buy seafood, fresh from the sea and find interesting souvenirs for yourself, friends and family. Please contact the front desk for taxi service to Bang Bao Village. Want some night adventure? Never know how squids are caught? You can now try for yourself!! 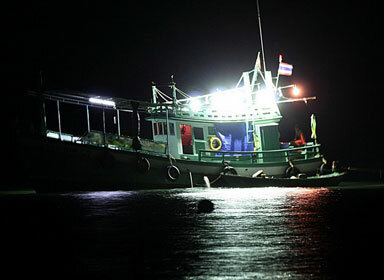 Squid catching trip is organized every night for you to go out to the night sea, learn how to bait squid and actually catch one for yourself. Please ask the front desk for more details.